One of the most popular, flexible, and affordable wedding venues in Los Angeles, Hollywood Banquet Hall offers a stunningly beautiful setting for your one-of-a-kind wedding ceremony, reception, or bridal party. Large enough to accommodate large wedding receptions of up to 350 guests yet cozy enough to befit smaller, more intimate celebrations, Hollywood’s elegant, sophisticated event space is guaranteed to impress guests and provide an amazing backdrop for your wedding day photographs. Our service standards, too, are peerless; allow Hollywood’s experienced team of managers, coordinators, culinary experts, and servers to make you and your guests feel like royalty on your momentous day. Mingle with wedding guests over mouthwatering international cuisine, share your first dance under our magnificent chandeliers, and celebrate long into the night on our spacious dance floor—at Hollywood, we know exactly how to make your wedding festivities perfect in every way. 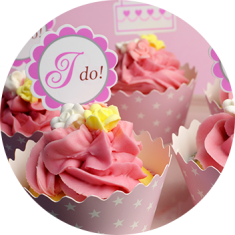 Before saying “I Do,” brides-to-be can reserve Hollywood Banquet Hall for a girls-only celebration! Allow our wedding planners to help you design the perfect party, complete with custom cocktails, buffet-style dining, gift-giving, and of course—dancing! By hosting both the wedding ceremony and reception at Hollywood Banquet Hall, couples save money and eliminate the need for guests to travel across town between bridal events. Our venue’s elegant, customizable setting is perfect for exchanging vows. 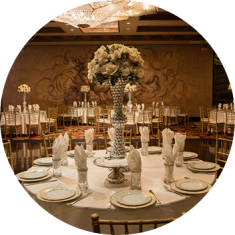 Beautiful décor, magical lighting, shimmering chandeliers—wedding receptions at Hollywood Banquet Hall are undeniably magical events. Collaborate with our wedding coordinators to plan an evening you will remember forever. At Hollywood Banquet Hall, we believe couples should never have to compromise or settle for anything less than the best. We guarantee our enchanting Los Angeles wedding venue has the amenities, atmosphere, and team to help make all your bridal dreams come true.